It is 5 °C outside or less, windy, icy and rainy. 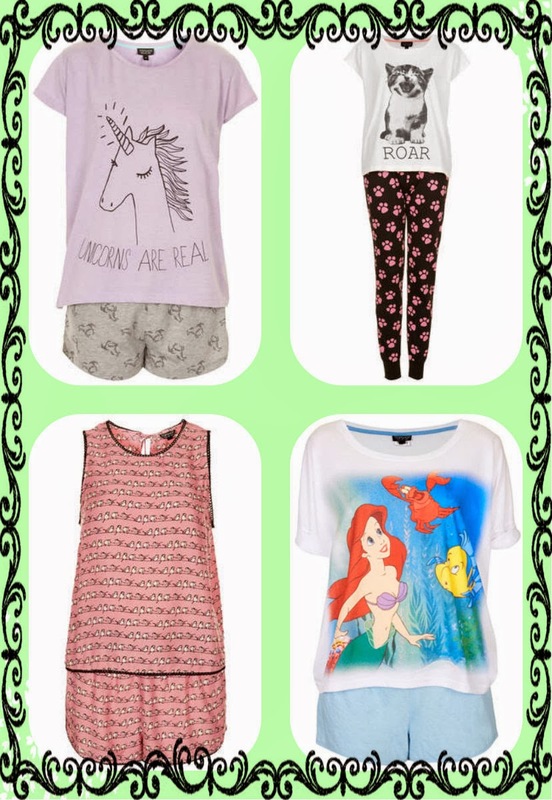 For all those moments you are at home, nothing says cosy like a nice pair of PJ's, or basically any type of nightwear. Here is a little selection of what I found nice, cosy and cute around (some I even own myself). I also warmly recommend checking out Women'Secret and Oysho for more classic looks and items.